In a number of instances road accidents can be as a result of potholes and poor road conditions. If you have sustained an injury as a result of potholes and poor road conditions, it is likely that you may be eligible for compensation for a personal injury claim. This article will discuss how to make a personal injury claim when an accident was caused due to poor or bad road conditions. Poor road conditions can sometimes play a part in causing a car accident or can otherwise cause damage to vehicles and injuries to drivers. 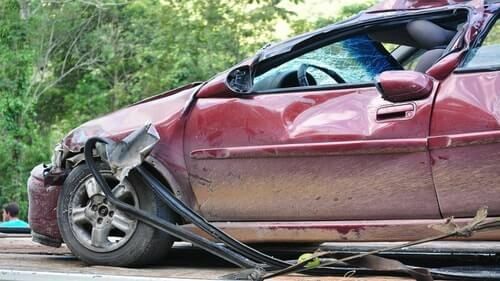 In the event that an accident is caused by poor road conditions, the question becomes whether the person who suffered the injury or property damage can make a legal claim for damages. If you want to file an injury or vehicle damage claim as a result of a car accident caused by poor road conditions or a pothole, you will need to prove that the road conditions actually caused or at least attributed to the accident and resulted in the damage and or injury. It should be noted that it is not enough to have been involved in an accident on a specific part of the road or highway that has bad road conditions. Rather, it is necessary that the plaintiff be prepared for arguments stating that something other than poor road conditions caused or attributed to the car accident. One of the most important questions that comes to the forefront is, who can be held liable for the poor road conditions? If you, as a plaintiff, can successfully demonstrate that the poor road conditions caused the accident, next you need to figure out who is legally responsible for the accident (the defendant) in your personal injury claim. Therefore, this requires that the plaintiff identify the state or local government entity that is responsible for maintaining the roadway. Thereafter, the plaintiff will have to prove that the entity somehow failed to meet its legal obligation to maintain a reasonably safe roadway. For example, the plaintiff may show that the condition of the road presented a dangerous condition and the entity either failed to fix the problem within a reasonable amount of time or failed to adequately warn drivers of the danger. Put simply the plaintiff will need to show that the entities negligence caused the injuries and or the losses. Bringing a claim against a state or government agency is not as simple as filing a personal injury lawsuit. In order to successfully bring a claim against state or local government, there are strict procedural rules that have to be met. Generally, anyone claiming that an injury or property damage is the fault of the government must first file a notice of claim. For legal advice and representation, you need a lawyer for car accident.